HyoJongGaeng stands for ‘Soup when dawn bell rings’. Upper class people usually drink this soup for hangover and it was the first delivery food in Korea. 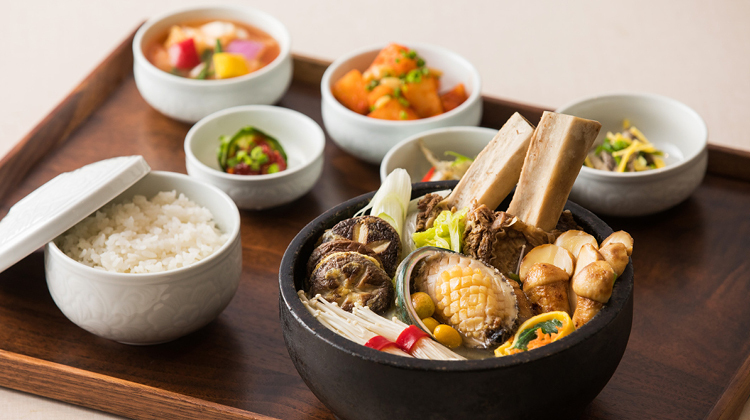 From prime rib, sea cucumber, abalone, pine mushroom to shiitake, bountiful healthy ingredients are all in HyoJongGaeng. Why not make your day fulfilled with energy?